Makes sense, right? The availability of non-RoHS material is getting harder and it is becoming more difficult to support BOMs that have non-compliant materials in them. It can be a challenge for suppliers and manufacturing partners to guarantee no interruption in the supply chain—which, of course, means your customers are put on hold, as well. RoHS specifies maximum levels for the following 10 restricted materials. The first six applied to the original RoHS, while the last four were added under RoHS 3. Lead (Pb): < 1000 ppm: Lead is commonly used in the electrical and electronics industry in solder, lead-acid batteries, electronic components, cable sheathing and in the glass of cathode-ray tubes. Mercury (Hg): < 100 ppm: Mercury is widely used metals in the production of electrical and electronic appliances and is concentrated in batteries, switches and thermostats, and fluorescent lamps. Cadmium (Cd): < 100 ppm: Cadmium is used in electronic equipment, car batteries, and pigments. Hexavalent Chromium (Cr VI) < 1000 ppm: While some forms of chromium are non-toxic, Chromium VI can produce toxic effects. Polybrominated Biphenyls (PBB): 1000 ppm: These are flame retardants found in electronic and electrical appliances. They have been found in indoor dust and air through evaporation from plastics. Polybrominated Diphenyl Ethers (PBDE): < 1000 ppm: These are also flame retardants found in electronic and electrical appliances. Combustion of printed wiring boards release toxic emissions. Bis(2-Ethylhexyl) phthalate (DEHP): < 1000 ppm: These are used to soften PVC and vinyl insulation on electrical wires. Benzyl butyl phthalate (BBP): < 1000 ppm: These are used to soften PVC and vinyl insulation on electrical wires. Dibutyl phthalate (DBP): < 1000 ppm: These are used to soften PVC and vinyl insulation on electrical wires. Diisobutyl phthalate (DIBP): < 1000 ppm: These are used to soften PVC and vinyl insulation on electrical wires. When we look at the greater supply chain, this means that many of the materials currently used in the manufacture of your products are RoHS-compliant. In fact, many companies—whether they are aware of it or not—are already 80-90% RoHS-compliant at this point in time. The switch for full compliance is not a difficult one to make; it often involves changing only one alternative part number. A direct “match” can often be readily found. If there is not a direct equivalent, your company would have to commit engineering support to specify a product, but the potential gains clearly justify this investment. Adopting 100% RoHS compliance can position you (and your business plan) in an even healthier, more profitable place. Given the challenges you may not even be aware you are subjected to, as noted above—higher costs, MOQs, and longer lead times—those alone are good reason to reconsider your material choices. There are “softer,” though no less important reasons to become 100% RoHS-compliant. These reasons are linked to sustainability goals. Of course, taking care of the planet should require no justification, and linking that to the added capacity to grow your business, makes it even more attractive a business option. Many companies seek out supply and manufacturing partners that support sustainability initiatives, and being RoHS compliant also allows companies to compete in European markets. What opportunities might it open up your company to? Remember, even if you don’t have direct customers in Europe, if someone in your existing or potential supply chain has European business, you will be excluded as a viable option. 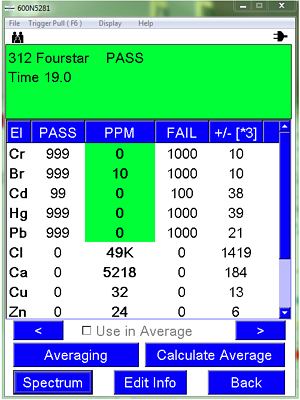 Fourstar has a comprehensive plan for meeting RoHS compliance. Our system includes determining the RoHS compliance status of all material—starting with purchasing through receiving inspection—and ultimately when the material is issued and used to build a final assembly. 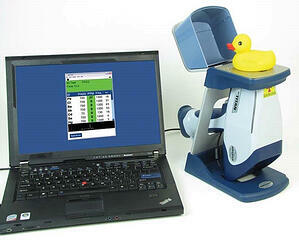 As part of this process, Fourstar tests for RoHS compliance using a Thermo Scientific Niton model XLt797Y. 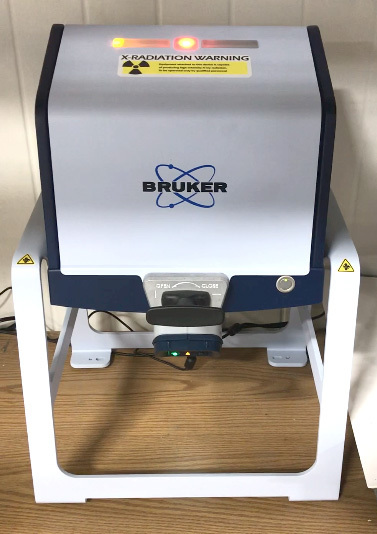 This portable x-ray gun breaks down the composition of the part, compares that to the RoHS requirements, and validates compliance or non-compliance. This is the only true way to confirm compliance to the standard. At Fourstar Connections, we are fully equipped to transition you away from non-compliant content. Read the deeper discussion in this previous blog. We apply our project management, manufacturing expertise, exceptional customer support, and advanced IT systems to provide customers with a comprehensive range of products and solutions—from cable assemblies to complex box build solutions. Having 30 years of experience, and offering a comprehensive portfolio of services and solutions to tackle a wide range of manufacturing needs, Fourstar partners with leading companies to problem solve, innovate, and find better ways for new product introduction (NPI), and create design for manufacturing (DFM) initiatives. FREE RoHS-Compliant Cable Assessment & 15-Minute Engineering Consultation! If you have a wire harness assembly or wire harness product that needs to be assessed for RoHS compliancy, we’ll test it against the RoHS content thresholds to determine compliance—for FREE. Do your materials meet RoHS requirements? If so, that’s fantastic. If not, let’s schedule free RoHS-compliant cable assessment. If you’re not ready for a RoHS assessment for your cable assemblies and just need to talk over your current challenges with an expert engineer, we’re happy to schedule a free 15-minute engineering consultation with you. Whatever your current needs are, we can help you find a better way!